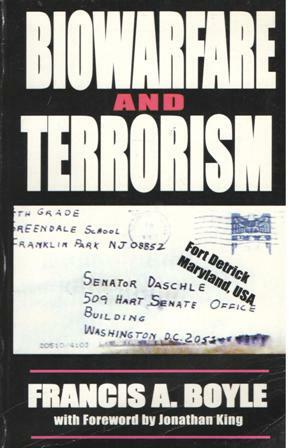 This book outlines how and why the United State government initiated, sustained and then dramatically expanded an illegal biological arms buildup. Most significantly, U.S. expert Francis A. Boyle reveals how the new billion-dollar U.S, Chemical and Biological Defense Program has been reorientated to accord with the Neo-Conservative pre-emptive strike agenda—this time by biological and chemical warfare. Biowarfare and Terrorism should raise public concern at what the vastly expanded US biowarfare research and purported civilian preparedness programs hold in store for America—and the extent to which the Bush administration is prepared to pursue them, irrespective of their incitement to a global biowarfare arms race, and their likely exposure of the American people in the future to both accidents reprisals. Jonathan King is Professor of Molecular Biology at M.I.T. and an authority on the genes and proteins of micro-organisms. Prof. King was a founder of the Council for Responsible Genetics and former Co-Chair of its Committee on the Military Use of Biological Research.